Maybe we should all get cow tattoos and swear a dark and bloody oath to keep the remaining parts of the sign safe for thousands of years, etc. 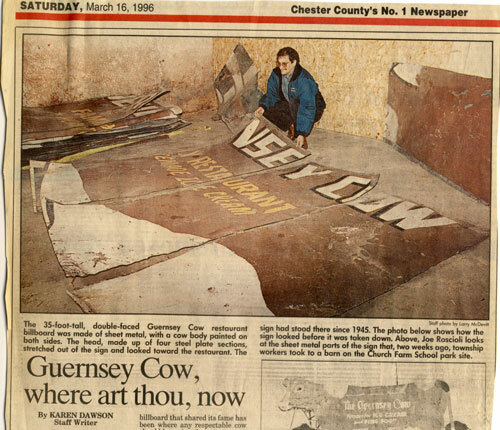 Could you plan a field trip so we could go visit the remaining pieces of the sign? You have a great site, thanks for all the effort and care you put into it. 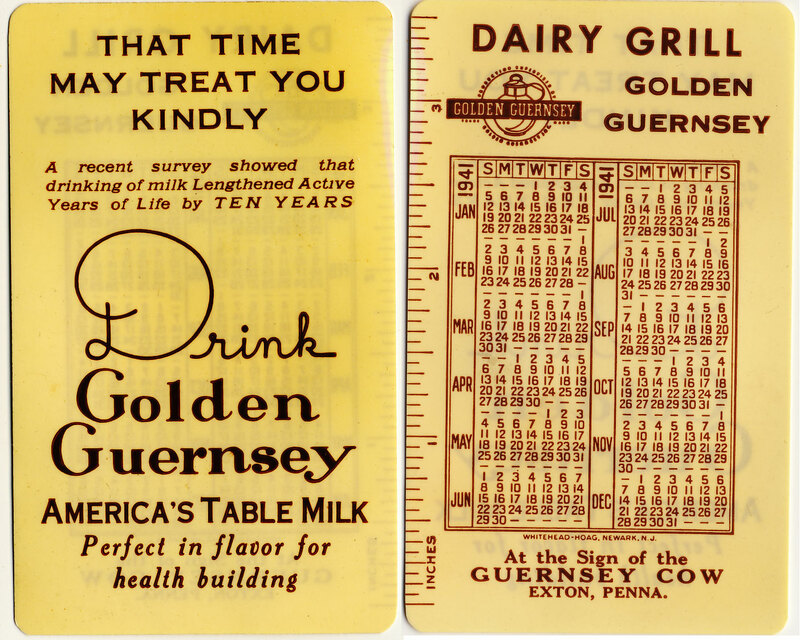 The Cow was also a landmark for cross-country Lincoln Highway travelers. Brian – thanks for the feedback and stopping by. 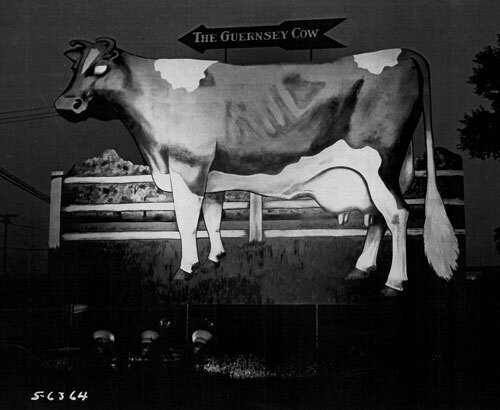 One summer, sometime around 1970 the head of he cow was damaged or blown off by a storm. The head was reattached and I was asked by my father Joe Puliti to repaint it where needed since I was an “artist” and also a house painter in the summer. I remember standing up there on a 35 foot ladder leaning against the cow’s neck and doing my best to fix up the head. That was one of the more unusual painting jobs I had and it seemed to amuse the passing motorists. I hope they they find the head and reconstruct the sign somewhere.